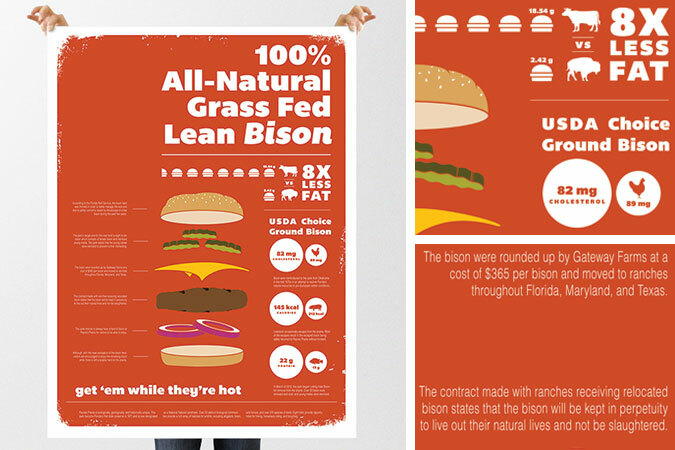 This poster’s purpose is to inform the viewer about the removal of bison from Paynes Prairie, while also providing the nutritional facts for bison meat. When the bison were removed and sold to ranches around the US, it was guaranteed that they were not being slaughtered. The pairing of bison burger details with the descriptions of the bison removal is causes the viewer to question the credibility of the guarantees made concerning the bisons’ safety.